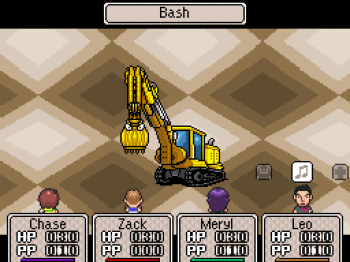 Eccentric RPG series Mother/Earthbound is getting a fourth game whether Nintendo creates it or not. 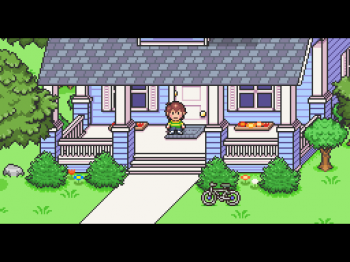 The Mother series, also known as Earthbound, doesn't have a very good history in North America. Nintendo only brought one of the the series' titles to the U.S. back in the Super Nintendo era, with the much-wanted Mother 3 for the Game Boy Advance likely being kept in Japan for eternity. Though Nintendo has shunned overseas markets when it comes to Mother, fans are creating a new Mother game that will be available to everyone. One only has to look back to the sale of an unopened Earthbound for $1000 on eBay a year ago to see the value the series still holds to gamers. Mother is an RPG with a turn-based battle system, but it takes place in a wacky, modern-day universe where skateboard punks and aliens must be taken out with psychic powers and baseball bats, and it has a great musical score. A fan group calling themselves Azure Studios is working on their version of Mother 4, and much to my surprise have been working on it since 2008. Nintendo hasn't made any plans known to create a new Mother game, so why not? Despite the project not being made by Nintendo or series creator Shigesato Itoi, its early screenshots have nailed the visual style perfectly. Now if the music and gameplay can also replicate what makes Mother so cool too. Azure's take on Mother will follow a boy named Chase who is thrown into the middle of a multitude of strange occurrences, such as alien abductions and inanimate objects like construction equipment coming to life. He and four companions, including Leo the "street-wise rough and tough street urchin," embark on a journey to combat these disasters and find out the true enemy behind them. Mother 4 will be absolutely free when it's eventually released, but Azure doesn't have a projection for when the game will come out. This might not be as ideal as a new Mother from the original creators, but it's about as good as we're going to get.